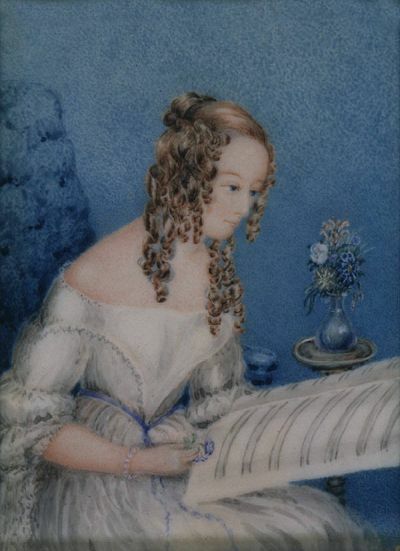 Mary Morton Allport (1806–95), artist, arrived in Tasmania in 1831, with her settler husband, Joseph. She is regarded as Australia's first professional woman artist, advertising in 1832 that she would paint miniatures. When her husband resumed his profession as a lawyer, her work was largely confined to the domestic sphere, teaching her family and their friends to draw, although she did exhibit locally. Her natural history studies and landscapes are notable for her affinity with the native environment. She was the first colonial woman lithographer, etcher and engraver, but her contribution was only fully appreciated following the 1965 bequest by her great-grandson, Henry Allport, of the Allport Library and Museum of Fine Arts, which contained so much of her work.